You'd be forgiven for thinking that the purpose of Jaguar Land Rover's new Special Vehicle Operations division was to match Mercedes-AMG, BMW M or Audi RS with high-performers, like the Range Rover Sport SVR and F-Type Project 7. But as the all-new Range Rover SVAutobiography demonstrates, Special Vehicle Ops has no problem wrapping its iron fist in a velvet glove. It's best to think of the SVAutobiography as the replacement for the short-lived Autobiography Black, and it comes with the price to reflect that. While the Black had a starting price of $185,000, the SVAutobiography closes in on the $200,000 figure, starting at $199,495. If it's simply replacing the Black, why the $15,000 price hike? Well, like the Sport SVR – and basically everything we love from JLR – the SVAutobiography is powered by the 550-horsepower version of the brand's 5.0-liter, supercharged V8, rather than the standard 510-hp variant. That makes it the most powerful fullsize Range Rover ever built. Matching the familiarity of the blown V8 is ZF's critically acclaimed eight-speed auto and Land Rover's second-generation Terrain Response system. 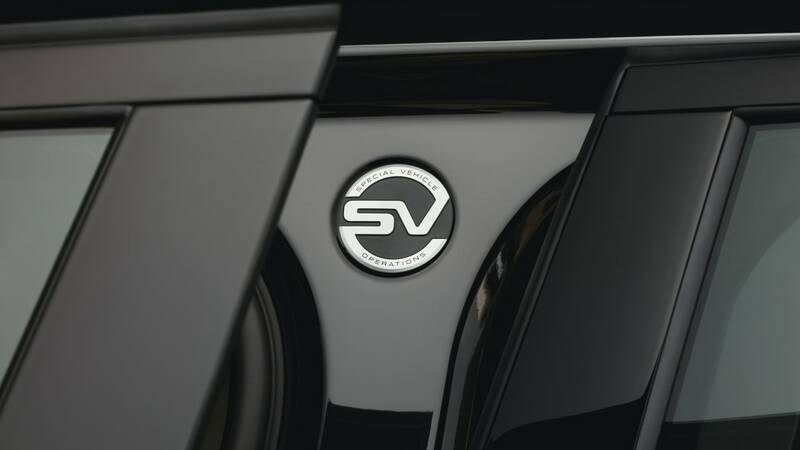 Like the Black, the SVA makes life for second-row passengers quite enjoyable, thanks to a stretched wheelbase, and luxuriously appointed, power-adjustable seats. 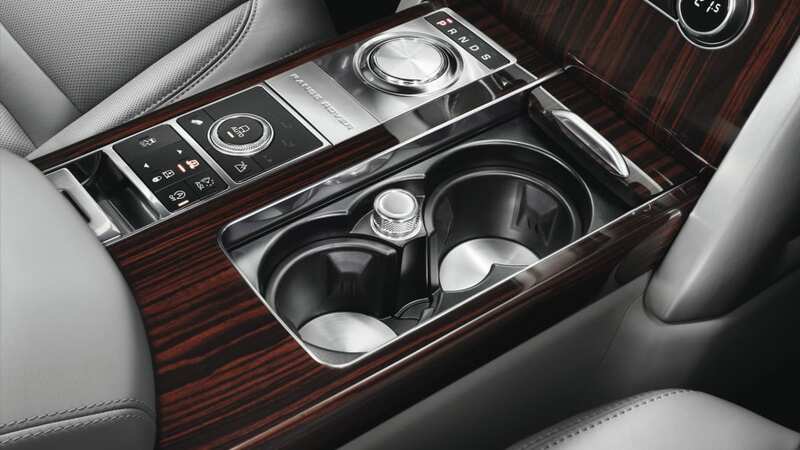 A broad center console means passengers won't be forced to rub elbows with each other, while business can be conducted thanks to the laptop-friendly, pop-out tray tables. 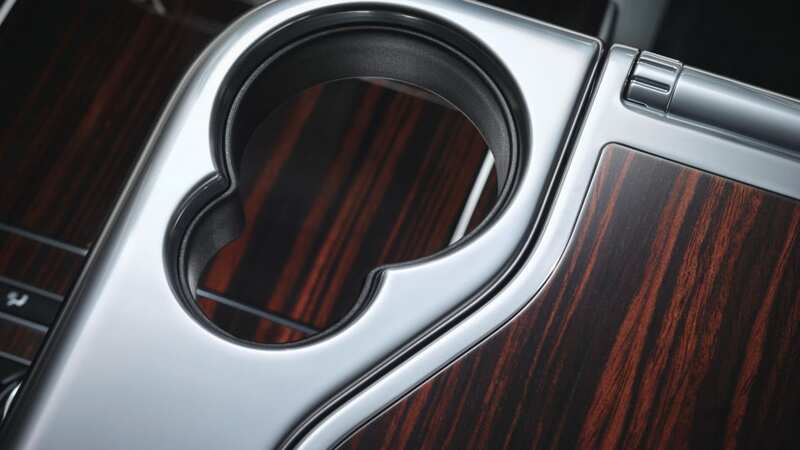 There's also a fridge – sorry, "beverage chiller compartment" – for the Cristal, Ace of Spades or Dom, while the standard coat hooks have been replaced by solid aluminum elements. In fact, Land Rover kind of went mad with the solid aluminum bits and bobs (that's no bad thing). Alongside the rear-seat coat hooks, the rear-seat rail finishers, rotary dial, front-seat armrest adjustments and a few other items are all hewn from solid chunks of aluminum. 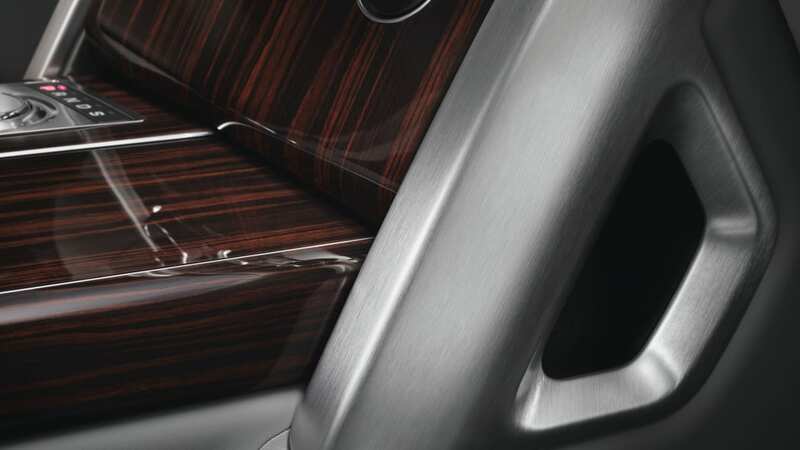 Not only does the material look great, but detail of the knurling, particularly on the shifter and armrests, is amazing. A two-tone paint scheme is the biggest exterior differentiator, although owners are somewhat limited in how the option is applied – Santorini Black is the only shade available above the doorhandles, although it can be paired with nine other colors, providing a bit more contrast than the roof colors offered on the standard SUV. The grille is finished in what's called Graphite Atlas and features some chrome work, while the hood lettering and rear badging has also been changed, with the latter reflecting the involvement of Special Vehicle Operations. The wheels look unique to the SVAutobiography, although Land Rover made no mention of them in the attached press release. We're wagering that they're 22-inch rollers, though. As we said, the SVAutobiography starts at $199,495. Mountaineering oligarchs should visit their local Land Rover dealer this autumn to pick up their copy. 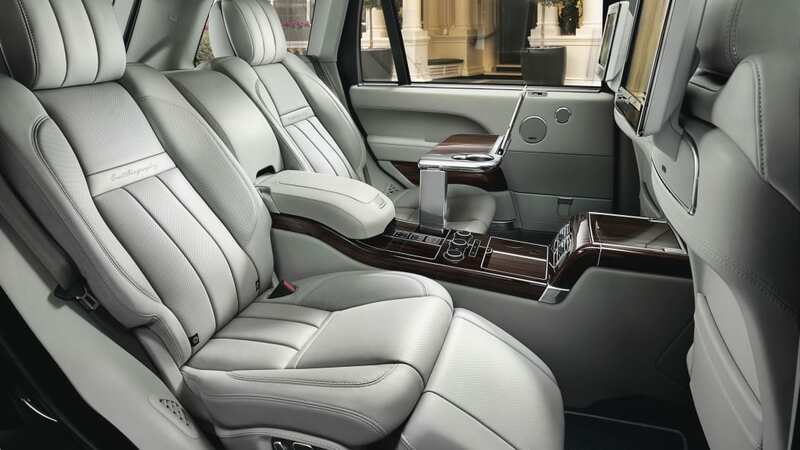 (MAHWAH, N.J.) – March 29, 2015 – Land Rover will unveil the Range Rover SVAutobiography at the 2015 New York International Auto Show, adding elevated luxury, design sophistication and performance to the flagship model line. Speaking ahead of the model's world premiere in New York, Land Rover Design Director and Chief Creative Officer Gerry McGovern stated, "With the SVAutobiography we have taken the opportunity to optimize the luxury execution and precision of the Range Rover while delivering beautiful detailing that considerably enhances the customer's experience of our flagship vehicle." Exclusively crafted at the Special Vehicle Operations (SVO) Technical Center in the UK, SVAutobiography features unique exterior design enhancements, an exclusive premium leather interior with unique trim finishes and a 550hp 5.0-liter supercharged V8 engine. As a result, the SVAutobiography is the most luxurious and powerful series-production Range Rover in the model's successful 45-year history. 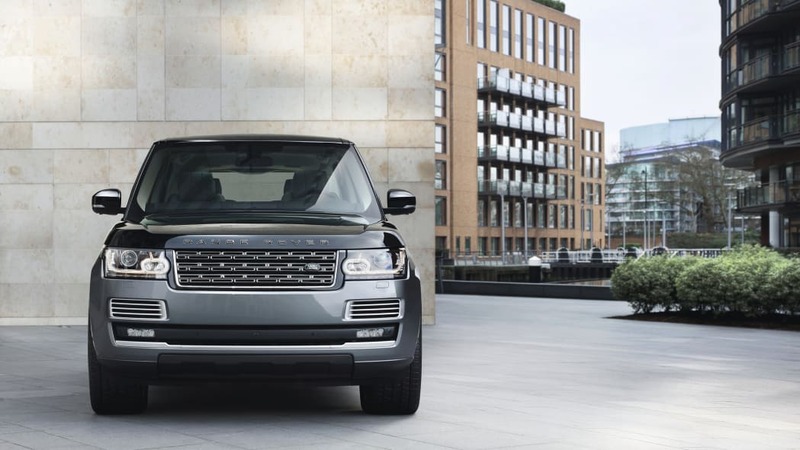 John Edwards, Managing Director of Jaguar Land Rover Special Operations, said, "Range Rover originally defined the luxury SUV segment and the new SVAutobiography, developed by Special Vehicle Operations, takes Range Rover to another level of comfort, craftsmanship and refinement." Replacing the Autobiography Black at the top of the Range Rover line-up, SVAutobiography is available with a powerful 550hp supercharged V8 engine. Shared with the Range Rover Sport SVR, and tuned specifically for the SVAutobiography, this potent engine produces an outstanding 550hp and 502lb. ft. of torque. Despite noticeable increases of 40hp and 41lb. ft. respectively, compared with existing supercharged V8 Range Rover derivatives, efficiency remains unchanged. 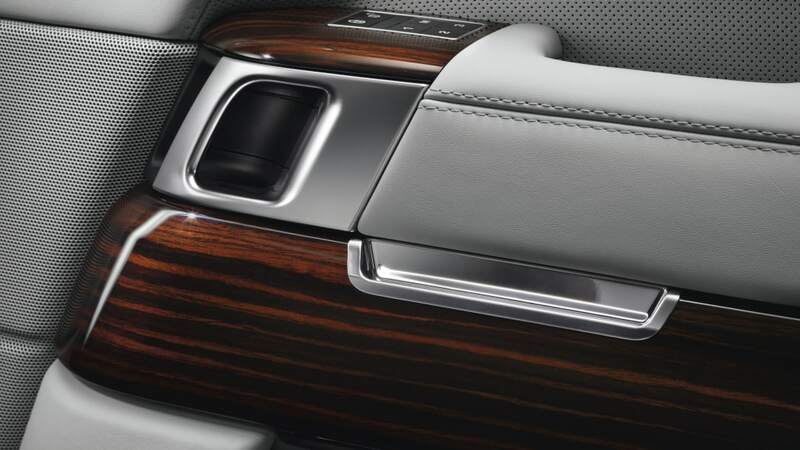 The key to the increase in performance of the SVAutobiography is the optimization of the Bosch engine management system and retuning of the Roots-type twin vortex supercharger's electronic bypass valve, to increase maximum available boost pressure during high-performance driving. With maximum torque available at 3,500rpm and a smooth and sophisticated ZF eight-speed automatic transmission, the SVAutobiography provides a breath-taking blend of performance, in-gear flexibility and refinement. The ZF eight-speed automatic transmission continues to offer seamless gear changes and an adaptive-shift logic that intelligently adjusts to driver behavior. The advanced transmission can also be controlled via the steering-wheel-mounted paddle shifts, ensuring the perfect combination of refinement and driver engagement. 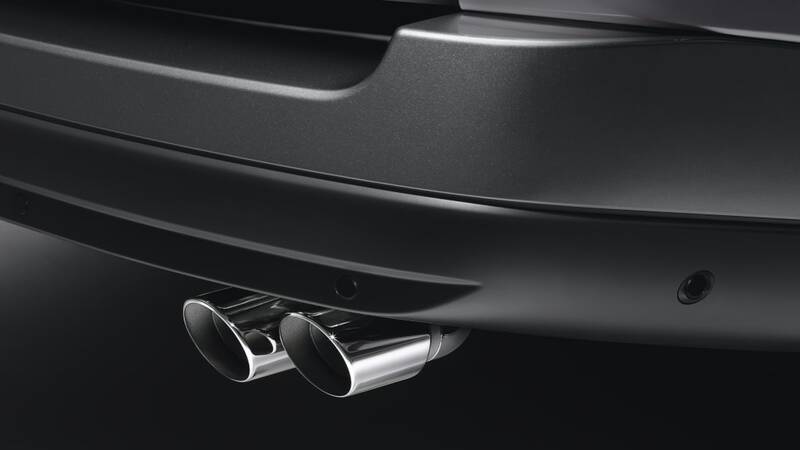 A new exhaust system with distinctive quad polished chrome tailpipes ensures optimal flow rates and a subtly enriched engine note for this performance-oriented luxury model. The 550hp engine has been engineered and optimized for unparalleled comfort and refinement, and features Brembo front brake calipers in gloss black finish. Customers of the Range Rover SVAutobiography are able to specify a unique Dual-tone body color option. The combination of Santorini Black upper body and nine color choices for the lower body create true distinction and individualism. 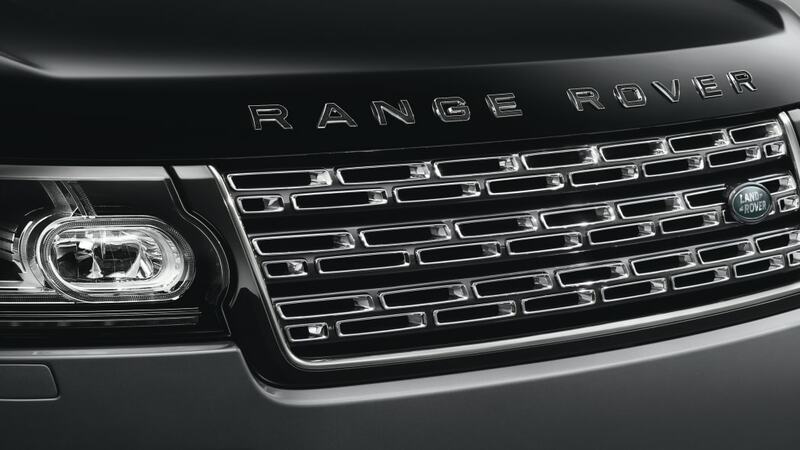 The 2016 Range Rover SVAutobiography features unique hood lettering and the tailgate is adorned with new SVAutobiography badging. A new front grille is finished in distinctive Graphite Atlas and polished chrome, furthering its visual differentiation. 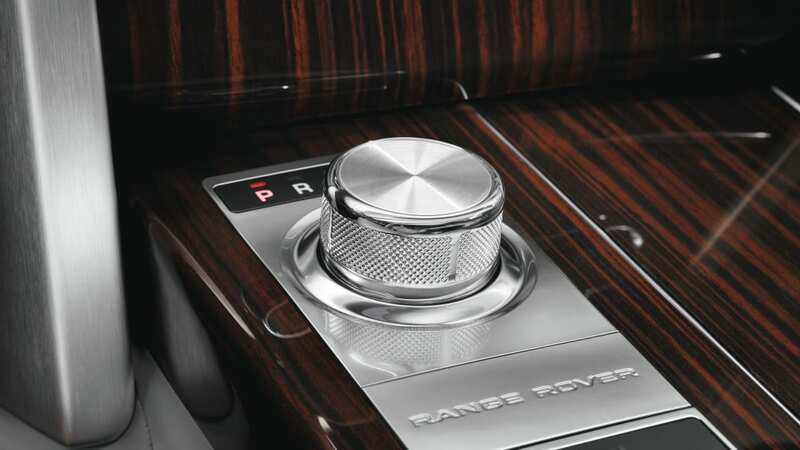 Much of the vehicle's controls, including the start-stop surround, rotary gear selector and pedals are machined from solid aluminum with beautiful knurled details. This detailing continues to both the front and rear center consoles, with distinctive materials for the cup holder and socket covers. 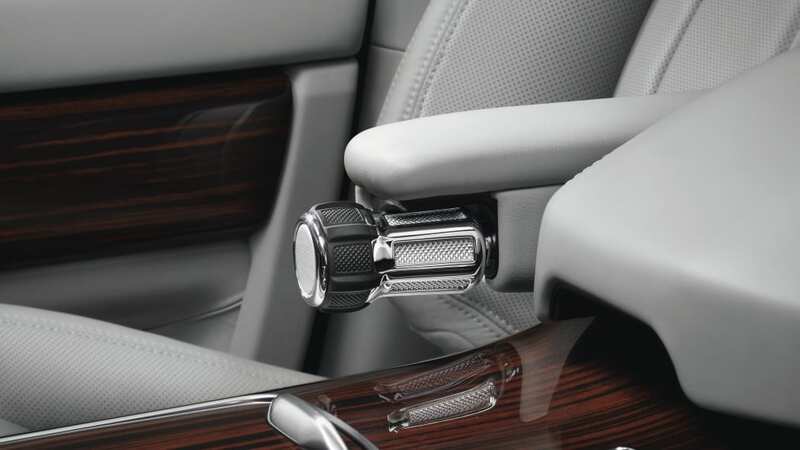 New armrest adjuster knobs feature a similar level of machined detailing. Rear-seat passengers relax in luxurious seating complete with a beverage chiller compartment and powered deployable tables. Solid aluminum coat hooks are incorporated into the rear pillars while, on the floor, aluminum seat rail finishers and deep twist pile mohair carpet mats complete the of sumptuous luxury environment. 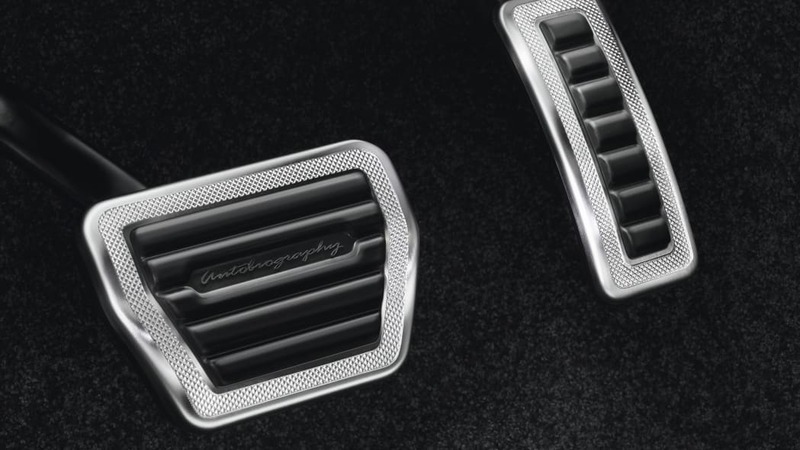 A polished SVAutobiography key fob with knurled finish adds the finishing touch. 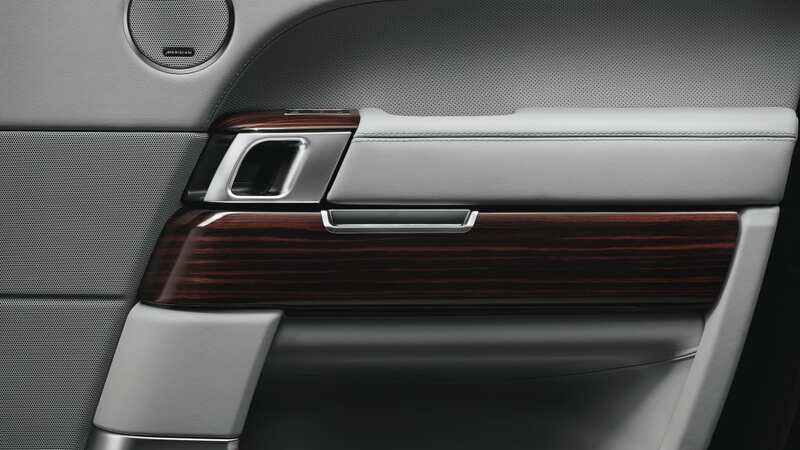 In the rear compartment, the SVAutobiography offers the option of a sliding luggage floor. Made from beautifully crafted aluminum and a choice of wood veneer options, the floor slides rearwards to optimize ease of use for loading and unloading. 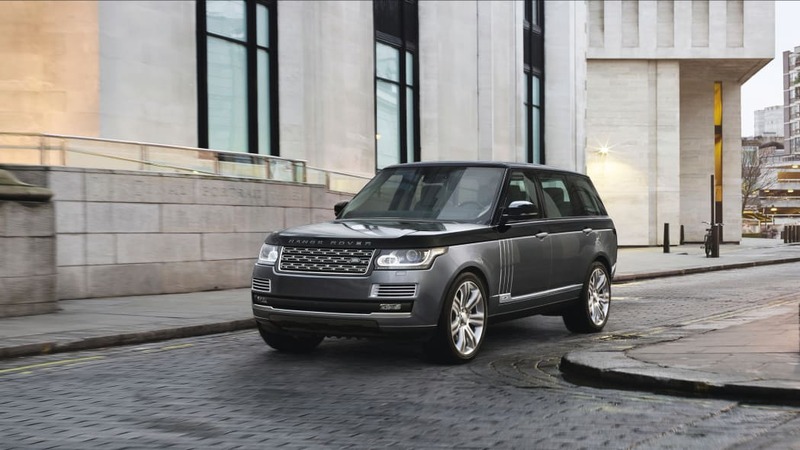 Complementing the introduction of SVAutobiography, a comprehensive suite of revisions will be available for the 2016 Range Rover line-up, underlining its status as the ultimate luxury SUV. Key updates extend to a more powerful V6 engine and turbodiesel options for the HSE model, all-new convenience features including a Gesture Tailgate, Automatic Access Height, improved Surround Camera System and enhanced smartphone connectivity with a revised suite of Land Rover InControlTM technologies. 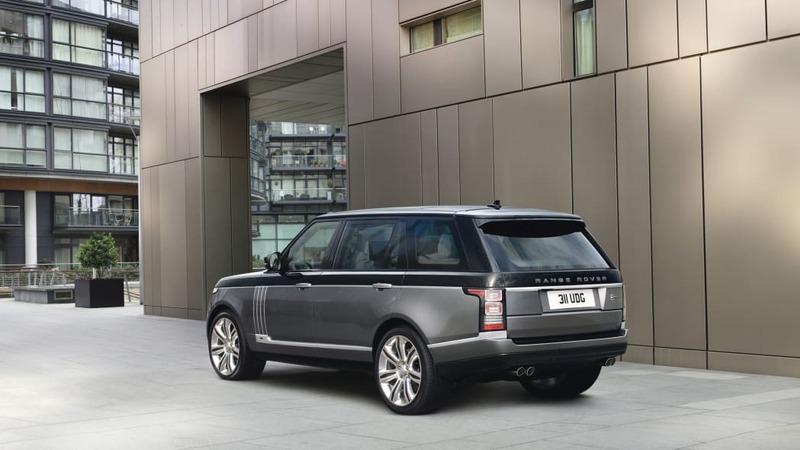 New for the 2016 Range Rover HSE is a 380hp supercharged V6 engine. Building on the all-aluminum 3.0-liter supercharged V6 engine, with its laser-drilled injectors, two-stage oil pump and diamond-like coating for pistons and gudgeon pins, Land Rover engineers have carried out detailed calibration changes to achieve extra power for the 2016 model year. A potent 380hp, increased by 40hp over the previous version is the result. With maximum torque available at 3500rpm and a broad power band, the new 380hp supercharged V6 provides effortless in-gear acceleration coupled with outstanding levels of refinement. A turbodiesel Range Rover HSE will be available in North America for the first time as part of the 2016 model year enhancements. Featuring a single turbocharger, Low Pressure Exhaust Gas Recirculation (LPEGR) and a two- stage oil pump to reduce losses, the 3.0-liter Range Rover Td6 engine offers a powerful 254hp and 28mpg highway, providing excellent performance, reduced running costs and an exceptional cruising range of up to 658miles (Highway) for maximum convenience. Peak torque of 440lb. ft. is available at just 1,750rpm to ensure effortless in-gear acceleration and the capability to tow up to 7,716lbs (3500kg) with exceptional flexibility. In addition to the cleansing efficiency of the SCR, every aspect of the Td6 engine has been optimized to ensure emissions are as low as possible. This includes the new Low Pressure EGR system which has been critical to success of Td6 emission ratings and further improves fuel economy. All-Terrain Progress Control (ATPC) makes the world-renowned off-road capability of the Range Rover more accessible. Operational from 1.1mph to 19mph (1.8km/h to 30km/h) in forward and reverse gears, ATPC allows an ultra-low creep speed to be set using the steering wheel-mounted cruise-control interface when stationary or when the vehicle is in motion2. This allows the driver to concentrate purely on steering the vehicle over and around obstacles, while it maintains a constant speed that may otherwise be difficult to achieve over very challenging terrain. By reducing driver distractions and optimizing traction in this way, ATPC enhances off-road capability and safety. ATPC can be overridden by simply pressing the brake or accelerator. The new Surround Camera System2 provides improved clarity, creating sharper and clearer images on the central touchscreen display. A network of four cameras positioned in both front and rear bumpers and the side mirrors crisply relays the vehicle's surroundings to the driver for maximum safety and convenience. The reverse camera automatically displays the view behind the vehicle when reverse gear is engaged; when surround view is selected; the images from each camera combine to create an overhead view of the vehicle. A standard rear-camera wash system operates in conjunction with the rear window wash function to improve visibility in inclement weather. The standard Hands-Free Gesture Tailgate integrates hands-free functionally to the powered electric tailgate. 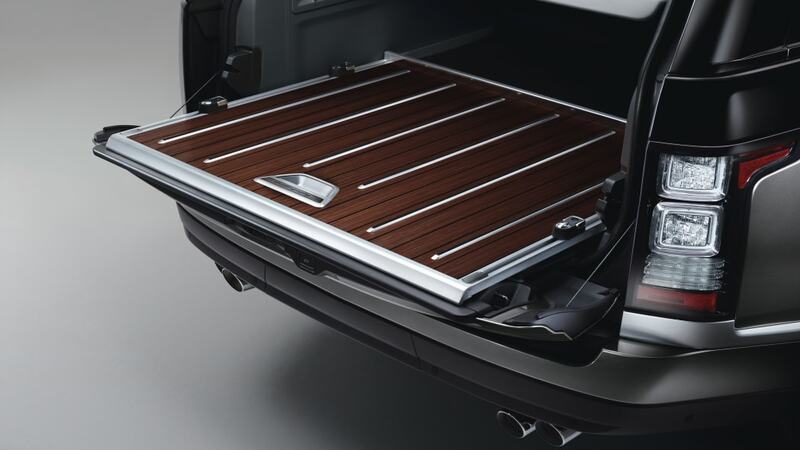 Vehicle owners will simply have to point a foot under either rear corner of the vehicle to gain access into the luggage area. The proximity sensors are located to the sides of the rear bumper rather than the center, allowing the tailgate to be conveniently operated from the curb. This feature is also fully compatible with a tow bar, so the exceptional 7,716lbs towing capacity of the Range Rover is uncompromised. 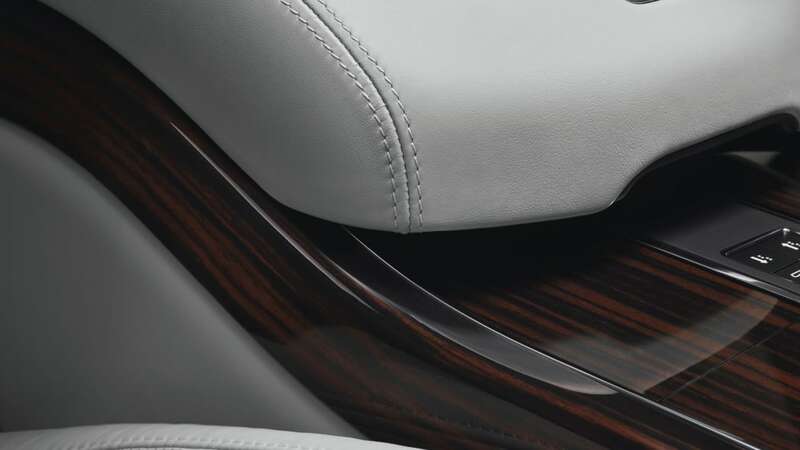 For the 2016 model year, the driver-adjustable access height function becomes fully automated. The Automatic Access Height system automatically lowers the vehicle's air suspension once the transmission is placed in Park (P), for improved entry and exit into the vehicle. When the ignition is switched off or the driver's seatbelt is removed, the vehicle automatically lowers by 1.4in (35mm) to aid entry and exit. 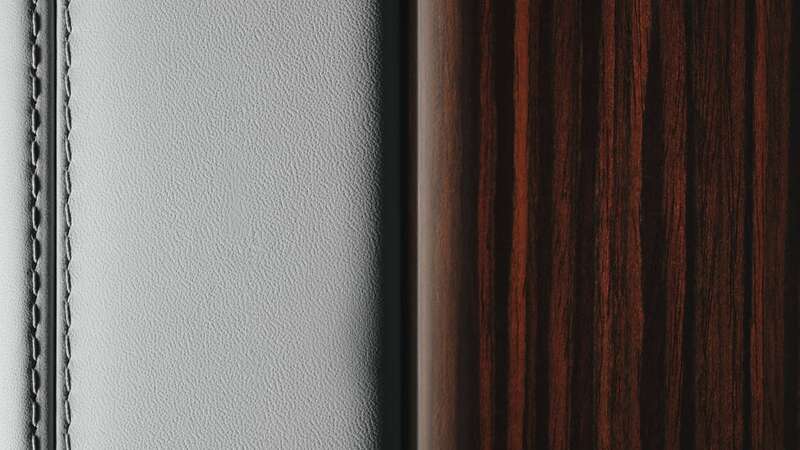 Should any door handle be activated, the height decreases by an additional 0.6in (15mm) for enhanced convenience. The total time from switching the ignition off or removing the seatbelt to achieving a maximum ride height reduction of 2in (50mm) is three seconds. The vehicle automatically returns to its optimized ride height at a speed of 9mph (15km/h). 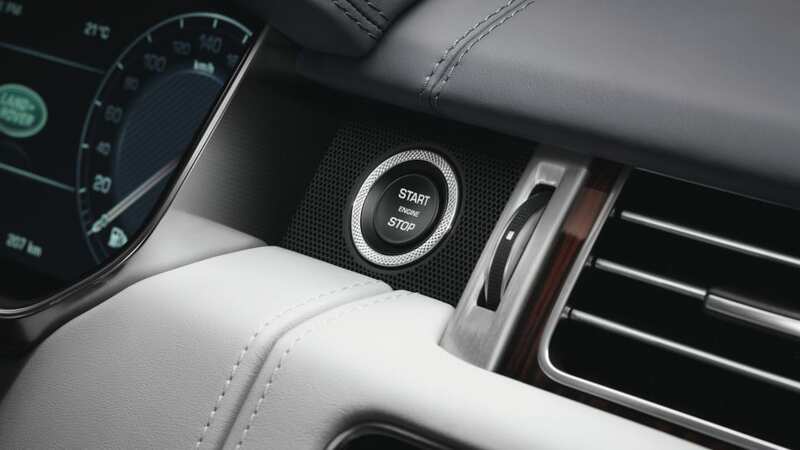 The suite of Land Rover InControl® connected-car technologies continues to expand for 2016, with advanced new standard features. InControl® ProtectTM can connect the driver with Roadside Assistance through the simple push of a button or can automatically call emergency services and notify them of the vehicle's location should the airbags deploy. InControl® RemoteTM & ProtectTM are subscription based services, which are complimentary during the new vehicle warranty period. InControl® AppsTM allows smartphone users to seamlessly access and control compatible third party apps stored on their device through the vehicle's touchscreen. 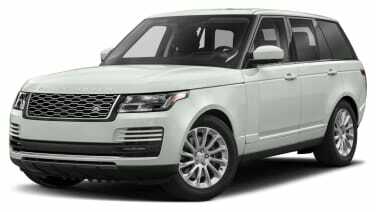 The Range Rover SVAutobiography, along with the updated Range Rover 2016 Model Year line-up, will be on sale Fall, 2015.